Istanbul, Turkey will be the new venue for the seventh annual World Superyacht Awards, which take place on 5 May 2012. The event is moving from London, where it has been held in the Guildhall for the past three years, to the Ç?ra?an Palace Kempinski, a former Ottoman palace situated on the European shores of the Bosphorus, and a venue which will allow greater capacity at the gala evening, with 700 industry professionals and superyacht owners expected to attend. 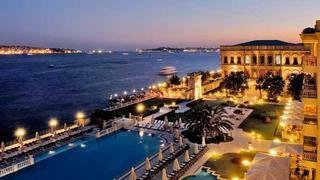 A 5 star resort, Ç?ra?an Palace Kempinski is the first Turkish member of The Leading Hotels of the World. Its 313 luxurious rooms include 20 suites in the hotel and 11 suites in the historical palace. One of the great - and most ancient - cities of the world, Istanbul straddles the narrow Bosphorus Strait separating Europe and Asia, and with one foot in each continent embodies the best of both cultures. Variously called Byzantium, Constantinople and more recently Istanbul, it has been the capital of three Empires, each leaving a heritage of architecture, places of worship and monuments. Table applications for the gala evening may be made through the World Superyacht Awards website, and those received before 31 December 2011 will be eligible for an early bird discount. Meanwhile, nominations for the World Superyacht Awards are still being accepted. Submissions have already been received for a number of notable yachts, including the 70.54 metre Talisman C, built by Proteksan Turquoise, the 63 metre Feadship Lady Britt, the 50 metre Satori by Heesen Yachts and the 44.2 metre Pendennis-built Hemisphere. To qualify, all yachts must be over 30 metres in length and have been delivered to their owners between 1 January 2011 and 31 December 2011.